I am currently working to spread mindfulness via digital mediums and in Phoenix AZ. I do this in two distinct ways. By utilizing science and clarity of understanding to discuss mindfulness topics without a bunch of “woo-woo” and to assist people in learning the skills of mindfulness and creating their own regular practice. I speak publicly on the topics, and am active in the Humanist Society of Greater Phoenix, Hospice of the Valley, Arizona Burning Man, and am politically active in the Secular Coalition of Arizona. I’ve tried a lot of techniques and approaches (happy to discuss them anytime) but the approach that makes the most sense to me today is called Unified Mindfulness. Developed by Shinzen Young. I’m a L2 coach in the Unified Mindfulness system. First, become engaged with the UM community, and learn together with everyone else. I am active on the public Mindfulness and Meditation discord community where I am responsible for the Unified Mindfulness discussion group, I lead a class every Sunday @ 3pm AZ time in that community. If you’d like my “Buddhism for the non-believer” speech you can hear it HERE. Here’s the first step to learning the Unified Mindfulness system, and is what I recommend everyone start with. Really. 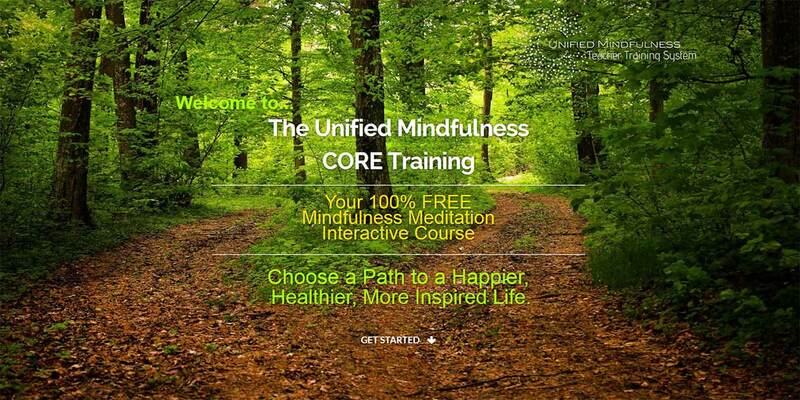 Click on the training – Unified Mindfulness – CORE. It’s free, interactive and a solid use of your time. Click on active panel title to edit title. Confirm with Enter key. Click on plus button [+] to add new panel. The BEST way for us to interact is physically of via Zoom (2-way video). I charge $60/hour unless you are a subscribing patron (see below). If you’re signed up as a patron, then my time for coaching is pretty open for any questions and assistance. So whats’s the app that you use/recommend? For intro people who are just gettting started with meditation, I highly recommend Dan Harris’s 10% Happier app – He has some amazing teachers and many different approaches to finding a meditation practice. If you are already a “pro” and just want a timer/tracker, then something like the Insight Meditation Timer is more of what you’re looking for. If you are interested in continuing to learn more about the UM system and the other quadrants. ​And the Unified Mindfulness Wiki Page? But there’s a lot more to mindfulness than what comes from Shinzen Young – Although his techniques and approaches to mindfulness are what “resonate” with me. On the VERY top of my list right now is Sam Harris – I follow his podcast and discussions on the Intellectual Dark Web and tend to see things in that perspective. The Book of Joy by the Daili Lama and Archbishop Desmond Tutu. Joy on Demand by Chade Meng Tan – Here the founder of Googles mindfulness program details some really great techniques and scientific studies. Ok, those were the basics, and you liked what you heard but you need something more “SOLID”. Something that will have some more tangible RESULTS, and your mental well being is worth spending some real time and money on. Yeah, I’m going to ask for money in the same way that Sam Harris asks for money – If you enjoy what I do, and what I provide, I’d appreciate it if you’d “buy me a coffee” and keep my content free of marketing/advertisements/etc. I do that by simply accepting Patreon donations. If you’d like to hear Sam Harris’s perspective on it (which I agree with) please listen here.